Friedrich Wilhelm Zachow or Zachau (14 November 1663, Leipzig – 7 August 1712, Halle) was a German musician and composer of vocal and keyboard music. Zachow probably received his training from his father, the piper Heinrich Zachow, one of Leipzig's town musicians in the Alta capella, and maybe from Johann Schelle, a leading German composer, when the family moved to Eilenburg. As Kantor and organist of Halle's Market Church in 1684 he succeeded Samuel Ebart, during his time at Halle he became particularly renowned as a composer of dramatic cantatas. In 1695 he was criticized by the pietists because of his excessive long and elaborate music, that could be only appreciated by cantors and organists. Zachow was influenced by Johann Theile in Merseburg and the poetry of Erdmann Neumeister, pastor in the nearby Weissenfels, and his criticism on pietism. Zachow was the teacher of Gottfried Kirchhoff, Johann Philipp Krieger and Johann Gotthilf Ziegler, but is best remembered as George Frideric Handel's first music teacher. He taught Handel how to play the violin, organ, harpsichord, and oboe as well as counterpoint. Zachow's teaching was so effective, that in 1702 at the age of seventeen, Handel accepted a position as organist at the former Dom in Halle, it is said that after Zachow died in 1712, Handel became a benefactor to his widow and children in gratitude for his teacher's instruction. In 1713 J.S. Bach was invited as Zachow's successor. Handel continued to use Zachow's compositions in his own works, not simply quoting, but also in terms of instrumental colour; for example the cantata Herr, wenn ich nur dich habe, which is unique in having a harp solo in the German cantata repertoire, was copied by Handel, taken to London, and may have influenced the instrumentation of Saul and Esther. ^ Marcel Bijlo (2010) Zachow and his cantatas in libretto of Quintone recording. Pietism was an influential movement within Lutheranism that combined Lutheran emphasis on Biblical doctrine with the Reformed emphasis on individual piety and living a vigorous Christian life. Although the movement was active exclusively within Lutheranism, it had a impact on Protestantism worldwide, particularly in North America. Pietism spread from Germany to Switzerland and the rest of German-speaking Europe and the Baltics, and it was further taken to North America, primarily by German and Scandinavian immigrants. The movement reached its zenith in the century, and declined through the 19th century. A substantial part of the Pietistic Protestants was formed by German Sectarians, Norwegian Lutherans, Swedish Lutherans, as the forerunners of the Pietists in the strict sense, certain voices had been heard bewailing the shortcomings of the Church and advocating a revival of practical and devout Christianity. The direct originator of the movement was Philipp Jakob Spener and he studied theology at Strasbourg, where the professors at the time were more inclined to practical Christianity than to theological disputation. In 1675, Spener published his Pia desideria or Earnest Desire for a Reform of the True Evangelical Church and this was originally a pejorative term given to the adherents of the movement by its enemies as a form of ridicule, like that of Methodists somewhat in England. While large numbers of orthodox Lutheran theologians and pastors were deeply offended by Speners book, in 1686 Spener accepted an appointment to the court-chaplaincy at Dresden, which opened to him a wider though more difficult sphere of labor. In Leipzig, a society of young theologians was formed under his influence for the learned study, the theological chairs in the new university were filled in complete conformity with Speners proposals. Orthodox Lutherans rejected this viewpoint as a simplification, stressing the need for the church. Spener died in 1705, but the movement, guided by Francke and fertilized from Halle, spread through the whole of Middle, Spener stressed the necessity of a new birth and separation of Christians from the world. Many Pietists maintained that the new birth always had to be preceded by agonies of repentance, the whole school shunned all common worldly amusements, such as dancing, the theatre, and public games. Some believe this led to a new form of justification by works and its ecclesiolae in ecclesia weakened the power and meaning of church organization. These Pietistic attitudes caused a counter-movement at the beginning of the 18th century, one leader was Valentin Ernst Löscher, a movement which cultivated religious feeling almost as an end itself. Yet some claim that Pietism contributed largely to the revival of Biblical studies in Germany and to making religion once more an affair of the heart and of life and it likewise gave a new emphasis to the role of the laity in the church. Then came a time when another intellectual power took possession of the minds of men, bonhoeffer denounced the basic aim of Pietism, to produce a desired piety in a person, as unbiblical. Pietism is considered the influence that led to the creation of the Evangelical Church of the Union in Prussia in 1817. Johann Philipp Krieger was a German Baroque composer and organist. He was the brother of Johann Krieger. The Krieger brothers came from a Nuremberg family of rugmakers, Johann Philipp soon left Nuremberg for Copenhagen, where he spent some four or five years, studying organ playing with Johann Schröder, the royal organist, and composition with Kaspar Förster. During his stay, whenever it occurred, Johann Philipp was offered an invitation to become organist in Christiania and Doppelmayr differ on the details of Johann Philipps subsequent career. However, the dates are again unknown. Doppelmayr gives 1669–70 for the Bayreuth stay, while Mattheson confusingly reports that Johann Philipp was at Zeitz in 1670–71, and at Bayreuth in 1670–72. Research has shown that the records of Zeitz contain no mention of either brother. Johann Philipp was still employed in Bayreuth in 1673, when Margrave Christian Ernst left to fight in the Franco-Dutch War, following that, the composer was granted permission to travel to Italy without loss of salary. He stayed in Venice, studying with Johann Rosenmüller and Giovanni Battista Volpe, and in Rome, in 1675 Johann Philipp went to Vienna, one of the most important musical capitals of Europe, where he played for Emperor Leopold I. The Emperor was a patron of the arts and a composer, upon hearing Kriegers performance, he was sufficiently impressed to ennoble him. Johann Philipp returned to Bayreuth, and shortly thereafter travelled to Frankfurt and he was offered job invitations in both cities, but either declined both, or held them for a very short time. On 2 November 1677 Johann Philipp was employed as court organist at Halle, duke August died in 1680 and was succeeded by his brother, Johann Adolf I, who moved the court to Weißenfels. Johann Philipp went with him as Kapellmeister, and this was his last position, he held it for 45 years, the courts musical establishment soon became one of Germany’s greatest. Two years after Johann Philipp moved to Weißenfels, his brother Johann moved to Zittau, Johann Philipp was a prolific composer and supplied the Weißenfels court with countless sacred and secular works, including some 2,000 cantatas, at least 18 operas, trio-sonatas, etc. These were not found anywhere outside of Europe. In Europe, these instruments were sometimes augmented by bagpipes and pipe, after about 1500 in Germany, the alta developed into the kind of band that came to be known as Stadtpfeifer. Many English cities in the 1500s had town waits, as did rich individuals, in 1571, London ordered its waits to play “upon their instruments upon the turret at the Royal Exchange every Sunday and holiday toward the evening. ”. These may have been London’s first regularly scheduled public concerts, there is one surviving composition from the late-fifteenth or early sixteenth century actually titled Alta. It is a piece for three voices by F de la Torre, in the Spanish manuscript Cancionero de Palacio, and is assumed to be a typical example of the improvisatory style of this ensemble. It sets the popular basse danse tenor La Spagna in long notes with a contratenor in more or less note-against-note motion, similar cantus-firmus settings from this period, mostly in three parts and in improvisatory style, may be associated with these bands. Examples include pieces found in MS Trent 87,5 such as Auxce bon youre, during the sixteenth century, cantus firmus settings gave way to other kind of dances, sometimes improvised and sometimes composed. Music in four parts had become a normal texture by the sixteenth century. Brown, Howard Mayer, and Keith Polk, Instrumental Music, c. 1300–c.1520, in Music as Concept and Practice in the Late Middle Ages, Players and Performance Practice, edited by Reinhard Strohm and Bonnie J. Blackburn, 97–162. The New Oxford History of Music, vol and New York, Oxford University Press. The Renaissance Slide Trumpet, Fact or Fiction, journal of the American Musicological Society 19, no. Cambridge and New York, Cambridge University Press, Instrumental Music in the Urban Centres of Renaissance Germany. The Trombone, the Slide Trumpet and the Ensemble Tradition of the Early Renaissance, german Instrumental Music of the Late Middle Ages. Cambridge and New York, Cambridge University Press, in The Cambridge History of Musical Performance, edited by Colin Lawson and Robin Stowell, 335–52. Generally a cantor must be competent to choose and to conduct the vocals for the choir, to start any chant on demand, and to be able to identify and correct the missteps of singers placed under him. He may be accountable for the immediate rendering of the music, showing the course of the melody by movements of the hand. There are several titles for the psaltes, which depend on the recognition of his capabilities as a chanter, sometimes connected with an employment, the cantor or chanters sing the many hymns called for during the Divine Services and the Divine Liturgy. A chanter must be knowledgeable about the ecclesiastical modes as well as the structure of the services. At Constantinople the charge of a protopsaltes was prestigious and connected with Byzantine offices, in the tradition of the cathedral rite at Hagia Sophia, there was a distinction between the leader of the right choir and the leader of the left choir. In the Greek tradition, a chanter will often wear the exorason, in the Greek tradition, the chanters are stationed at a psalterion, a chanting podium positioned to the south and sometimes to the north side of the sanctuary. In the Slavic tradition, the chanters are similarly positioned, before the Second Vatican Council, in the Roman Catholic Church a cantor was the leading singer of the choir, a bona fide clerical role. The medieval cantor of the papal Schola Cantorum was called Prior scholae or Primicerius, in medieval cathedrals, the cantor or precentor directed the music and chant, and was one of the ranking dignitaries of the chapter. During the 14th century in churches, the cantor began to delegate his instruction of the singers to a master of music. After the introduction of harmonized music, some duties naturally fell to the conductor or choirmaster, the cantor is a role that can be performed by a lay person. In parishes without a choir, the cantor serves to lead the responsorial singing with the congregation, the cantors locality in the church is most generally to the right of the choir, and directly to his left is his assistant, formerly called the succentor. A common custom for cantors was the bearing of the staff, which was the mark of his dignity and this custom still survives in some places. Eilenburg is a town in Germany. It lies in the district of Nordsachsen in the Free State of Saxony, Eilenburg lies at the banks of the river Mulde at the southwestern edge of the Düben Heath wildlife park. The town is subdivided into three districts, Berg and Ost and six rural districts named Behlitz, Kospa, Wedelwitz. Neighbouring towns and cities are Leipzig, Bad Düben, Eilenburg Castle was first mentioned on 29 July 961 in a document by Otto I. as civitas Ilburg. The name has Slavic origin and means town with clay deposits, a settlement of tradespeople probably developed from the 11th century in the vicinity of the castle. In the 16th century Eilenburg was central to several events of the Protestant Reformation, even George, Duke of Saxony, called this town a nominated place. Martin Luther was in Eilenburg seven times and called it a blessed lard pit, the Thirty Years War left its mark on Eilenburg. The town was spared fighting, but it suffered from the catastrophic economic effects of the war. From 1631 the town was involved in the war. In 1632 the body of King Gustavus Adolphus of Sweden was laid out in the Red Deer Inn after he had killed in the Battle of Lützen. In 1639 Eilenburg was conquered by the troops of Georg von Derfflinger, in 1646 peace negotiations between Saxony and Sweden began in Eilenburg to extend the expiring Armistice of Kötzschenbroda. On 14 September 1648 the Treaty of Eilenburg was signed and meant the end of the Thirty Years War for Saxony, the slow onset of economic recovery came to a sudden end with the start of the Seven Years War. Virtually each male in Eilenburg had to serve in the armed forces, the city was occupied alternately by the Austrian Empire and the Kingdom of Prussia. In the following years Eilenburg turned into an impoverished and dirty old town, at the end of the 18th century the economy stagnated and Eilenburg became an even more insignificant town. In 1813 during the War of the Sixth Coalition shortly before the Battle of Leipzig, after Napoleons defeat, Saxony had to cede large territory to Prussia under the provisions of the Congress of Vienna. Halle is a city in the southern part of the German state Saxony-Anhalt. Halle is an economic and educational center in central-eastern Germany, the University of Halle-Wittenberg is the largest university in Saxony-Anhalt and one of the oldest universities in Germany, and a nurturing ground for the local startup ecosystem. Together with Leipzig, Halle is at the heart of the Central German Metropolitan Region, one of eastern Germanys other major cities, is only 35 kilometres away. Halles early history is connected with harvesting of salt, the name Halle reflects early Celtic settlement given that halen is the Brythonic word for salt. The name of the river Saale contains the Germanic root for salt, the Latin name Hala Saxonum was used. The town was first mentioned in AD806, according to historic documents, the city of Halle has been a member of the Hanseatic League at least since 1281. By the 1740s, Halle had established many orphanages as well as schools for the wealthy in the sober style Pietism encouraged and this Halle education was the first time the modern education system was established. The Halle Pietists were combated poverty, the Battle of Halle was fought between French and Prussian forces on 17 October 1806. The fighting moved from the bridges on the citys west side, through the streets and market place. In 1815, Halle became part of the Prussian Province of Saxony, in Ammendorf, a large factory owned by Orgacid produced mustard gas. 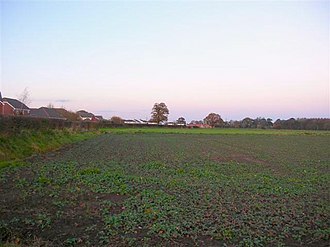 Near the end of World War II, there were two bombing raids carried out against the town, the first on 31 March 1945, the second a few days later. The first attack took place between the station and the citys centre, and the second bombing was in the southern district. It killed over 1,000 inhabitants and destroyed 3,600 buildings, among them, the Market Church, St. George Church, the Old Town Hall, the City Theatre, historic buildings on Bruederstrasse and on Grosse Steinstrasse, and the city cemetery. On 17 April 1945, American soldiers occupied Halle, and the red tower was set on fire by artillery, the Market Church and the Church of St. George received more hits. In music, the organ is a keyboard instrument of one or more pipe divisions, each played with its own keyboard, played either with the hands on a keyboard or with the feet using pedals. The organ is an old musical instrument, dating from the time of Ctesibius of Alexandria. It was played throughout the Ancient Greek and Ancient Roman world, subsequently it re-emerged as a secular and recital instrument in the Classical music tradition. Pipe organs use air moving through pipes to produce sounds, since the 16th century, pipe organs have used various materials for pipes, which can vary widely in timbre and volume. The pipes are divided into ranks and controlled by the use of hand stops, although the keyboard is not expressive as on a piano and does not affect dynamics, some divisions may be enclosed in a swell box, allowing the dynamics to be controlled by shutters. Some organs are enclosed, meaning that all the divisions can be controlled by one set of shutters. Some special registers with free reed pipes are expressive and these instruments vary greatly in size, ranging from a cubic yard to a height reaching five floors, and are built in churches, concert halls, and homes. Small organs are called positive or portative, increasingly hybrid organs are appearing in which pipes are augmented with electronic additions. Great economies of space and cost are possible especially when the lowest of the pipes can be replaced, non-piped organs include the reed organ or harmonium, which like the accordion and harmonica use air to excite free reeds. 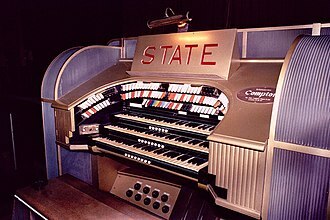 Electronic organs or digital organs, notably the Hammond organ, generate electronically produced sound through one or more loudspeakers, mechanical organs include the barrel organ, water organ, and Orchestrion. These are controlled by means such as pinned barrels or book music. Little barrel organs dispense with the hands of an organist and bigger organs are powered in most cases by a grinder or today by other means such as an electric motor. The pipe organ is the grandest musical instrument in size and scope, along with the clock, it was considered one of the most complex human-made mechanical creations before the Industrial Revolution. Esther is an oratorio by George Frideric Handel. It is generally acknowledged to be the first English oratorio, Handel set a libretto after the Old Testament drama by Jean Racine. The work was composed in 1718, but was heavily revised into a full oratorio in 1732. Esther began in 1718 as a masque, or chamber drama, composed early in Handels English career and it was first composed and performed at Cannons, where the Duke of Chandos employed Handel from 1716 -1718 as resident composer writing for his patrons singers and small orchestra. Little is known about this first version of Esther, the Cannons version of Esther was in six scenes with no break and written for an ensemble of one soprano, an alto, two tenors and two basses. Like Acis and Galatea, Esther may have been staged or semi-staged, the author of the libretto is uncertain. Mordecai had discovered and prevented a conspiracy to assassinate the King, having rejected his previous wife, selected Esther as his spouse. The Prime Minister, became enraged when Mordecai refused to bow to him, the first version of Esther opens as Haman decides to order the extermination of all Jews throughout the Persian empire as retaliation for Mordecais insult to him. The Jews, are celebrating Esthers accession as Queen of Persia, Esther asks Mordecai why he is displaying grief by being dressed in sackcloth and ashes and he tells her the King has followed his Prime Ministers advice to order the extermination of the Jews. He asks Esther to appeal to her husband to rescind the order and she decides to take this risk anyway and goes to see the King, who pardons her breach of protocol in approaching him without invitation and offers to grant any petition she asks. Esther only requests that the King and Haman will attend a banquet hosted by herself, at the dinner, Esther reminds the King that Mordecai had saved his life and reveals her Jewish origin. She tells the King that the order to exterminate the Jews is directed against Mordecai, Haman had prepared a gallows on which to hang Mordecai, but the King orders Haman himself to be executed there. The Jews give thanks to God for their deliverance, notable among the arias is Tune your harps with cheerful noise, with pizzicato string accompaniment, an actual harp is used in the orchestra in the following aria. BIBSYS is an administrative agency set up and organized by the Ministry of Education and Research in Norway. They are a provider, focusing on the exchange and retrieval of data pertaining to research. BIBSYS are collaborating with all Norwegian universities and university colleges as well as research institutions, Bibsys is formally organized as a unit at the Norwegian University of Science and Technology, located in Trondheim, Norway. The board of directors is appointed by Norwegian Ministry of Education, BIBSYS offer researchers and others an easy access to library resources by providing the unified search service Oria. no and other library services. They deliver integrated products for the operation for research. As a DataCite member BIBSYS act as a national DataCite representative in Norway and thereby allow all of Norways higher education, all their products and services are developed in cooperation with their member institutions. The purpose of the project was to automate internal library routines, since 1972 Bibsys has evolved from a library system supplier for two libraries in Trondheim, to developing and operating a national library system for Norwegian research and special libraries. Marktkirche Unser Lieben Frauen celebrated its 450th anniversary in 2004. This harpsichord is the work of two celebrated makers: originally constructed by Andreas Ruckers in Antwerp (1646), it was later remodeled and expanded by Pascal Taskin in Paris (1780). Detail of the harpsichord by Karl Conrad Fleischer; Hamburg, 1720 in Museu de la Música de Barcelona. A decorative rose descends below the soundboard in which it is mounted; the soundboard itself is adorned with floral painting around the rose. The bridge is at lower right. Page from the Neues vollständiges Eisenachisches Gesangbuch, the Lutheran hymnal that was in use in the Eisenach of Bach's youth. This is an example of a double passing tone in which the two middle notes are a dissonant interval from the cantus firmus. A fourth and a diminished fifth. This is an example of a descending double neighbor figure against a cantus firmus. This is an example of an ascending double neighbor figure (with an interesting tritone leap at the end) against a cantus firmus. A 1650 engraving of Nuremberg, home of the Krieger family. Johann Adolf I, Duke of Saxe-Weissenfels, under whom Krieger was promoted to Kapellmeister, and with whom the composer moved to Weißenfels.